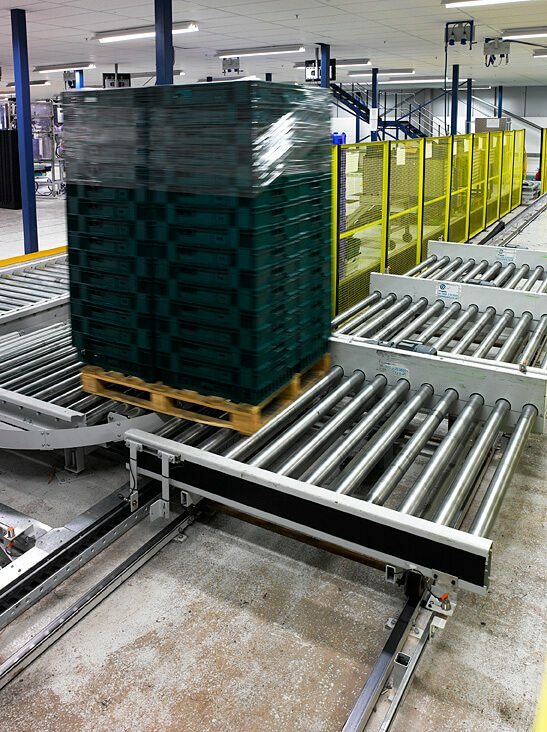 As our most robust roller conveyor option, L.A.C. 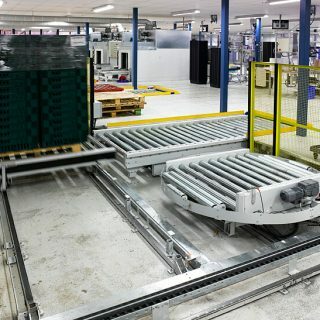 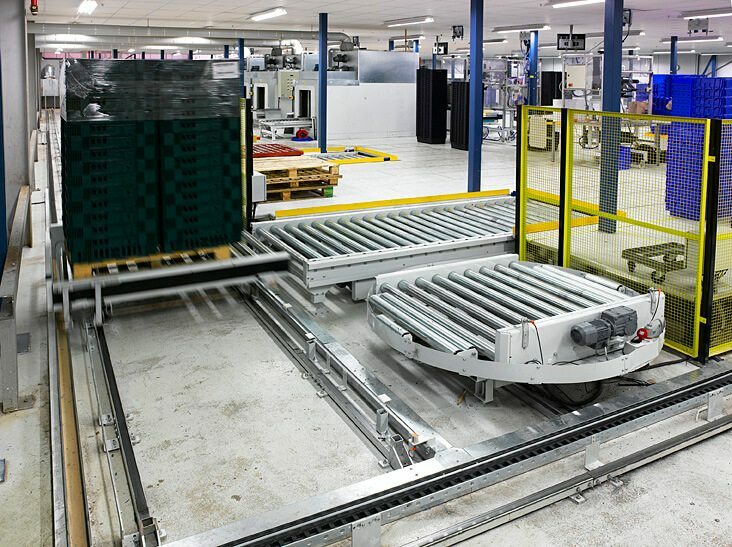 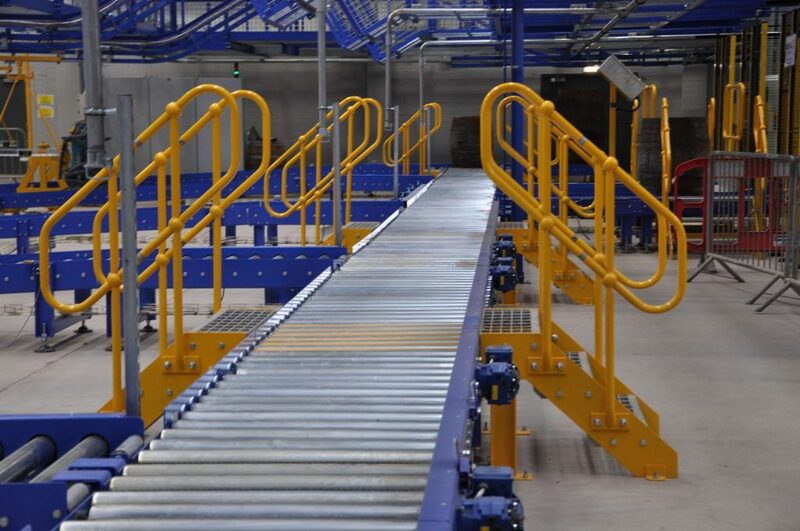 pallet handling conveyor systems are built to be incredibly hard-wearing and adaptable to the needs of your business. 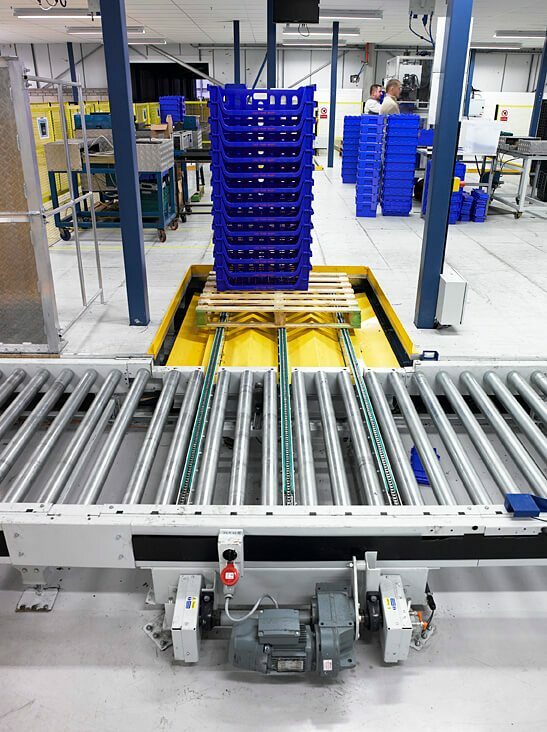 Often used for handling GKN or Euro pallets, this range is manufactured in volume and so can be supplied on very short lead times. 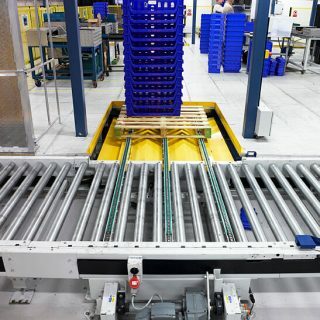 Our pallet conveyors can be customised to suit the unit load being conveyed, with widths up to 2000mm achievable and with carrying capacities of up to 8000Kg. 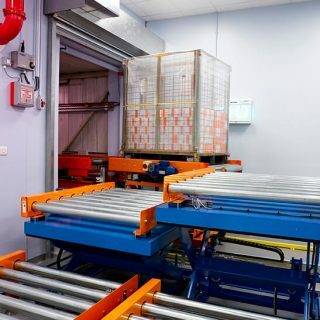 For cold store applications, the equipment can be upgraded to operate in temperatures of -30 Degrees Celsius. 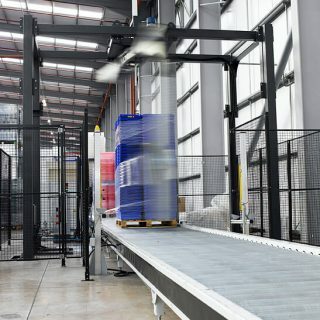 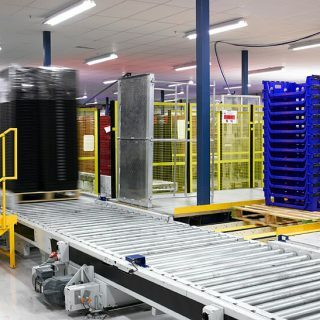 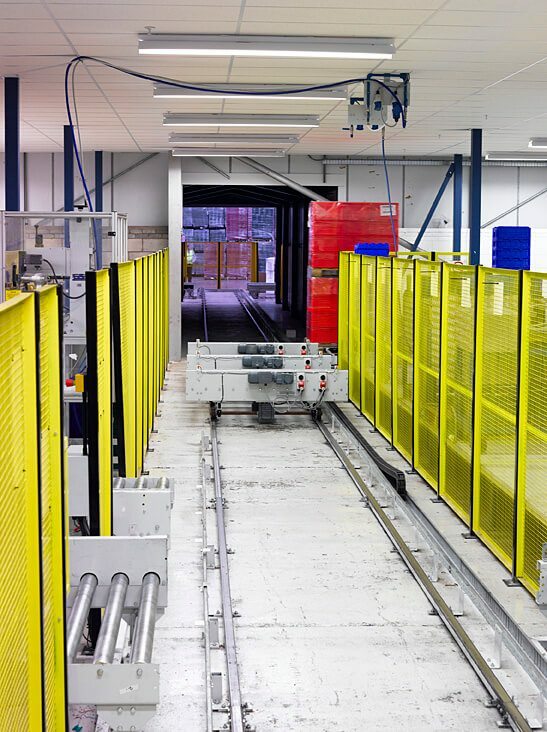 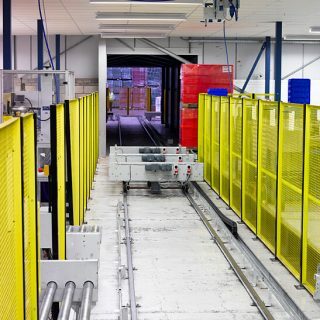 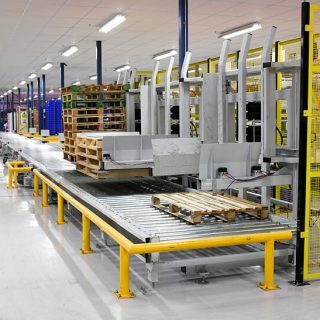 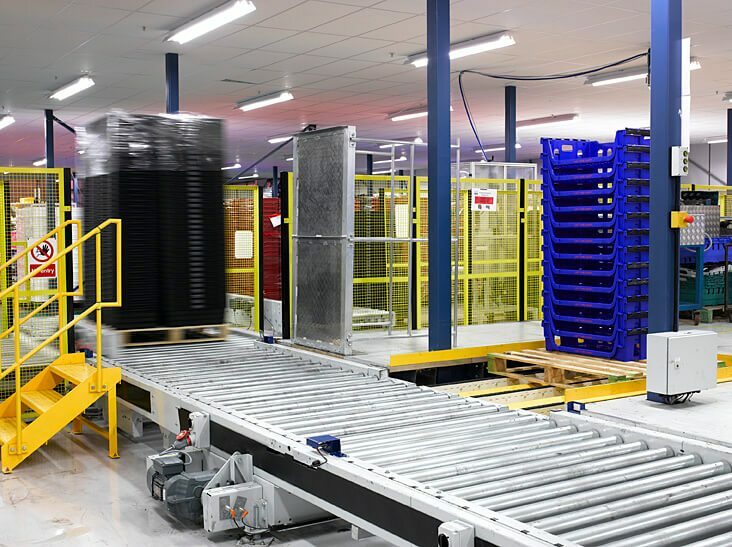 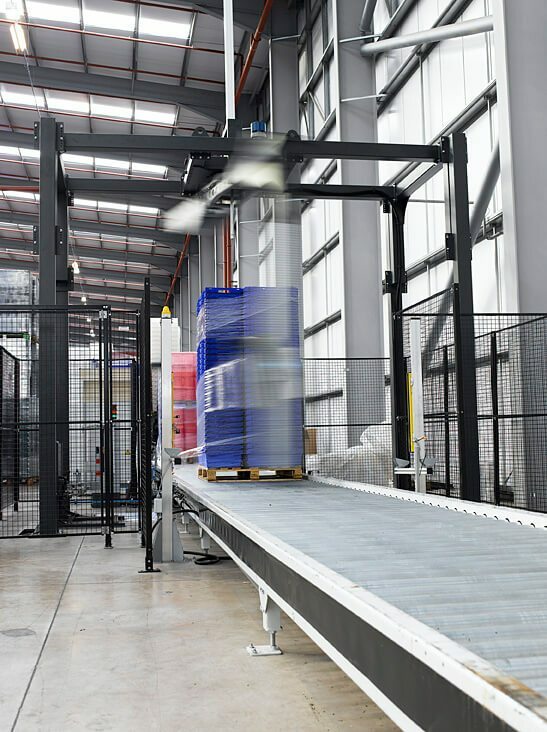 Furthermore, to allow a fully integrated system to be configured, we have a standard range of chain conveyors, transfers, shuttle cars, turntables and lifts. 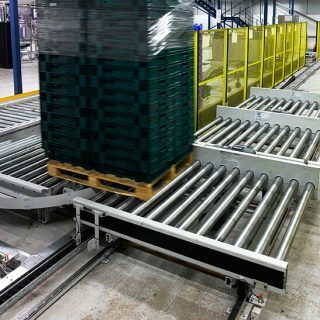 L.A.C.‘s range of heavy duty chain-driven roller conveyors has been developed and tested in the distribution industry over the last two decades. 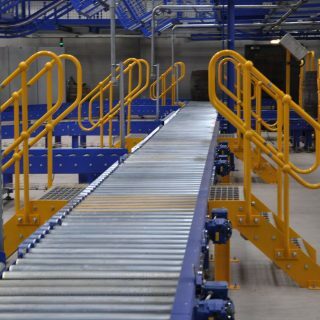 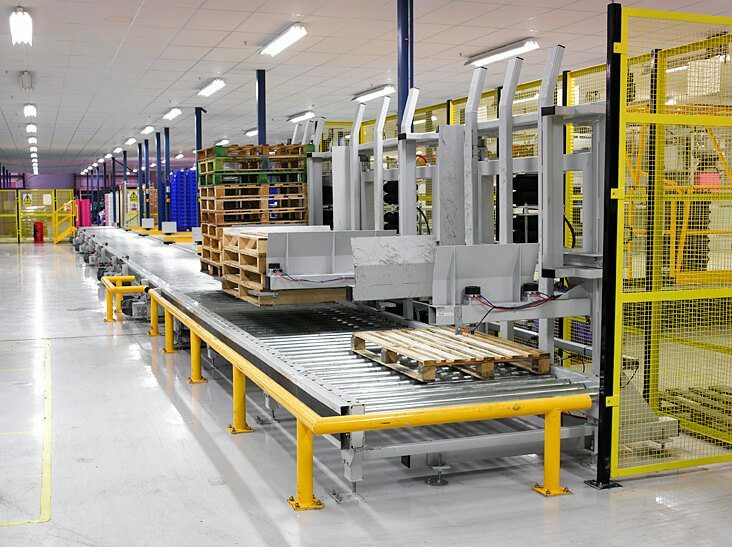 Alongside our comprehensive range of standard equipment, our experienced design department are capable of customising equipment to best suit our customers’ handling requirements, and can even design bespoke pallet handling conveyors and equipment for special size pallets or stillages. 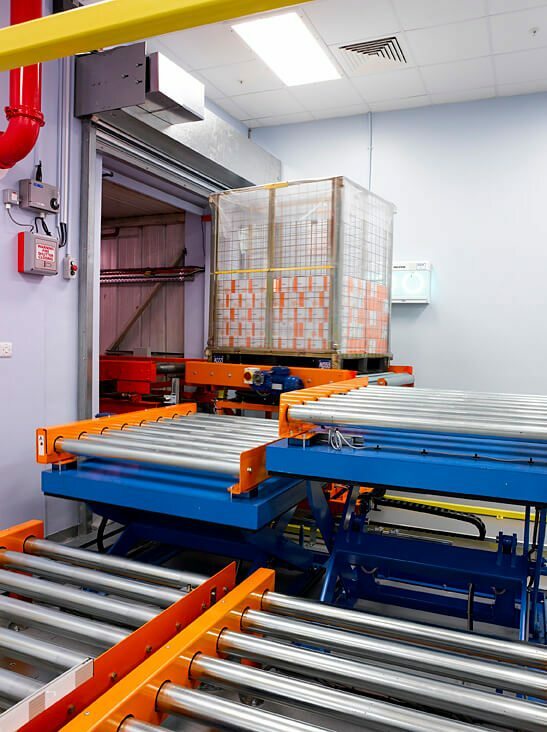 Our project department and in-house controls department have many years of experience successfully implementing our customers’ handling requirements.